Aura is an easy approach to identifying and matching tooth color. Aura Enamel shades are microfilled composite in shades in E1, E2 and E3. Enamel shades are not radiopaque. Aura Dentin Chroma shades are nano-hybrid composites based on a single opacity and single hue that is fluorescent with a broad range of chroma, in shades DC1, DC2, DC3, DC4, DC5, DC6 and DC7. Aura eASY is a nano-hybrid composite in shades ae1, ae2, ae3 and ae4. These are less opaque and designed for general non-layering or bulk-filling requirements with a 4 mm depth of cure. Aura Bulk Fill composite has a 5 mm depth of cure using 20 seconds with an LED curing light or 40 seconds with a halogen light. 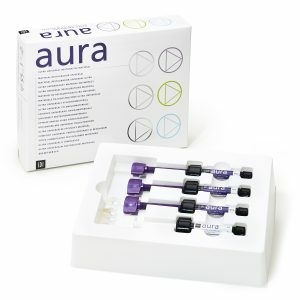 Aura composite is available in 4 g syringes and 0.25 g unit dose capsules (3 g syringes/ 0.20 g unit dose for Enamel shades). 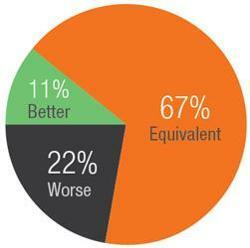 Aura was evaluated by nine editors in 345 uses. 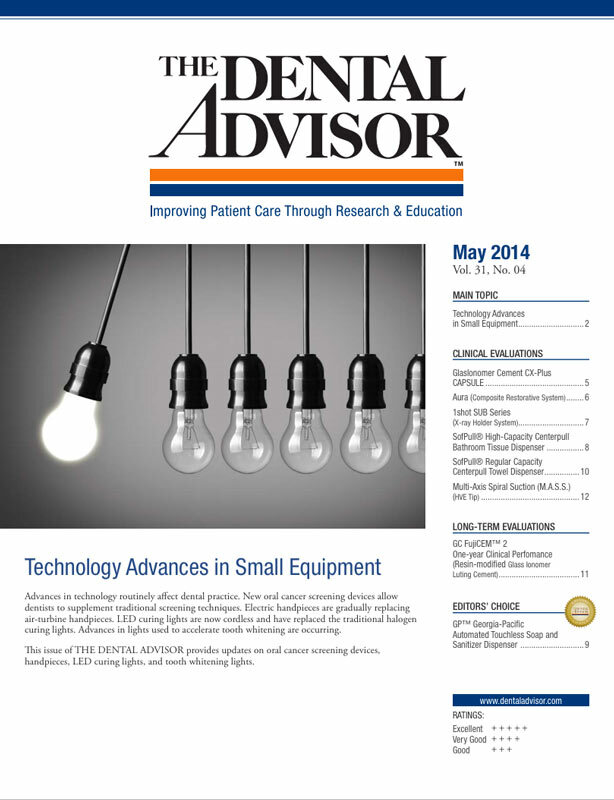 This composite system earned a 91% clinical rating. Syringes and capsules of Aura are labeled completely with name, shade and expiration date. Unit-dose capsules are color-coded by type of composite and are boxed in clear plastic containers that are easy to store. The kit includes clear instructions on shade selection based on chroma. Aura nano-hybrid composites handle extremely well. The viscosity has sufficient body for packing without being too stiff. Sculpting anatomy can be done with no sticking of the instrument to the composite. The Enamel shades are softer and waxier. 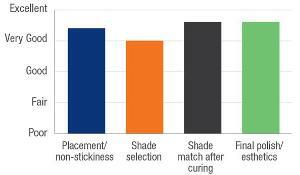 The Aura shading system was new to the consultants, requiring a shift in how they approached shade selection. 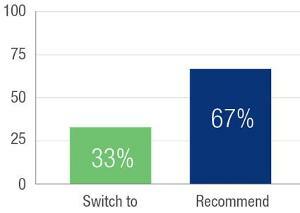 While it was not difficult to learn, consultants were resistant to change from the familiar Vita system. The Aura Easy shades blend well and work as a universal anterior/posterior single-layer composite. The Aura system provides a variety of composites to satisfy all clinical situations. Shades blend well with the tooth, and they all polish well. Use of the Aura Dentin Chroma shades replicate the opacity of dentin and are especially useful in Class III and Class IV restorations. Aura Enamel polishes to a high shine, matching the gloss of tooth enamel. Aura Bulk Fill is fairly translucent but was reported to be acceptable for most posterior applications.